My B.Comm in Marketing, provided me with the theory and foundation for a career in marketing, but I found the program was somewhat lacking on the creative, "hands-on" side of things. After convocating in 2011, I enrolled in the Certificate in Art and Design program through the Centre for Continuing and Distance Education at the UofS. The courses I have completed thus far, have exposed me to a wide variety of media, and have enhanced my perspective and artistic abilities. Currently half way through the program, I now hope to pursue art projects throughout my lifetime to keep my creative juices flowing! While my main passion remains photography, I have made attempts at traditional and digital works. Take a peak at some of these pieces below. The following were completed in the fall of 2012 during a traditional print making course I took at the University of Saskatchewan. The inspiration for these pieces, came (mostly) from Ukrainian heritage. 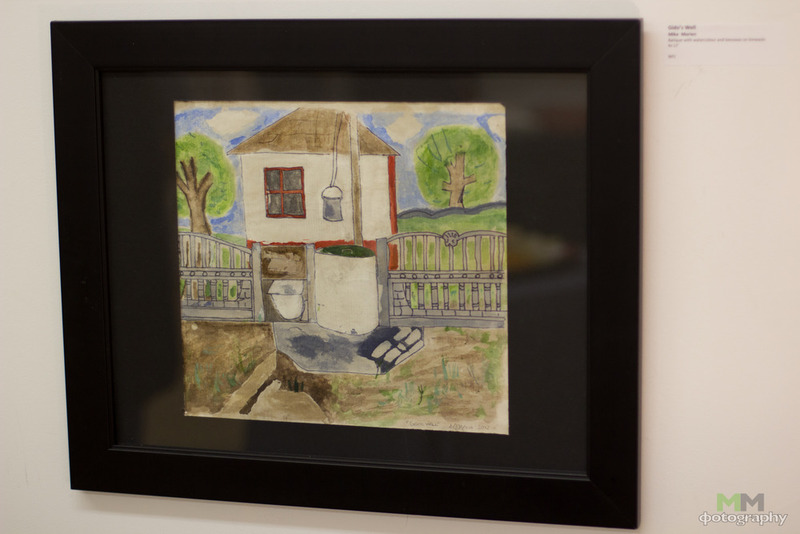 These photos were taken at a showing at the Mix Gallery on December 17, 2012. The Tryzub has been one of the most prominent symbols in Ukraine for hundreds of years, yet there is no agreed upon meaning. People give it many meanings: freedom, culture, religion, unity and more. Leaving family behind, two immigrants move to a strange new world where they must quickly learn to adapt. They cannot speak the language, and do not have much many. This picture aims to capture their struggle and their journey. The only non themed piece of my collection, my goal for this piece was simple. To come up with something simple, and colourful that I can put up on the wall. While in Ukraine in the summer of 2010, I had the opportunity to get to the village of Malnivska Volya (L’Vivs’Ka Oblast) where my Gido was born. I was drawn almost immediately to the well. I found it fascinating to see where my grandfather would have drank from as a child. I always find it an honour when I am asked to create an event poster for an event. Band posters more specifically allow for a tonne of creativity. This was my first ever "concert poster" I was asked to make (for my brother's band). I wasn't provided with a theme for the show, which at first was a bit scary, but this allowed me to come up with something unique. 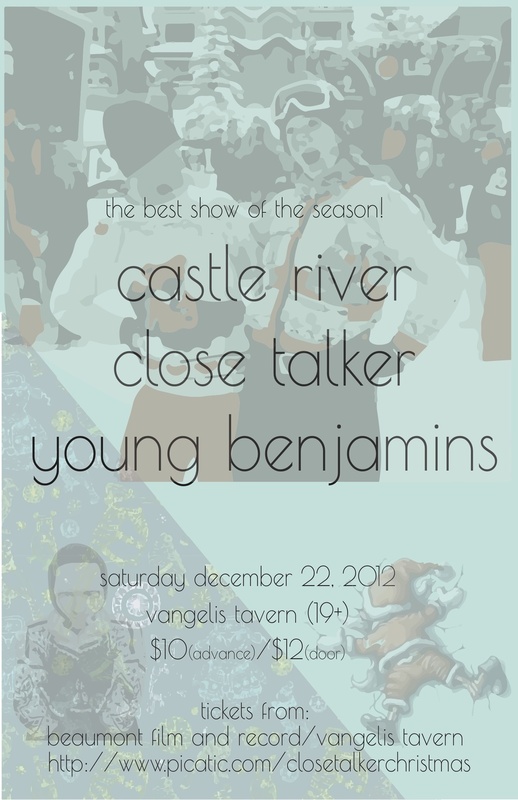 I had a lot of fun making this poster for Close Talker's cd release show. It should be a great show and an amazing cd!